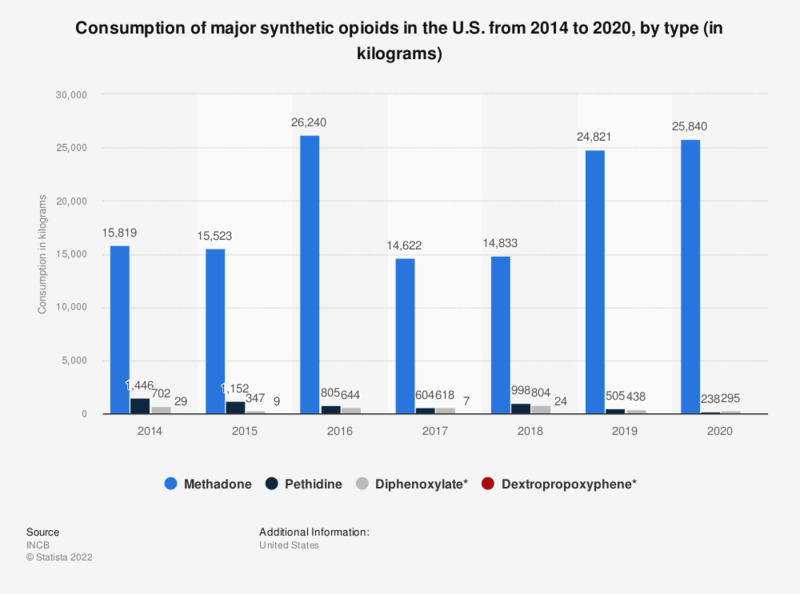 This statistic displays the consumption of major synthetic opioids in the United States from 2010 to 2016. In 2010, there were 15,286 kilograms of methadone consumed in the country. Natural alkaloid demands remained relatively high in the last few years. Australia and France are two of the main producing countries. * The consumption figures also include quantities used in manufacture of preparations listed in Schedule III of the 1961 Convention.